One fad to gain widespread popularity in the 1970s was the “ancient astronaut” theory to explain away examples of high technological or engineering advancements from the past. Concurrently, this theory was also applied to interpret ancient hieroglyphics and indigenous art from the perspective that the images, which relate stories of traditional history, actually are primitive interpretations of alien visitors to planet Earth. Such an idea seems preposterous to many; however, the ancient astronaut theory still persists in popular culture and is no more evident than in the Ancient Aliens series produced by, ironically, The History Channel. I find the ancient astronaut theory is shaded at the very least with a sense of Western cultural superiority, and at worst, racism. It says, essentially, that since we cannot figure out how the Egyptians built the pyramids, or how Central and South American pre-Columbian cultures emerged, a superior race must somehow be responsible. 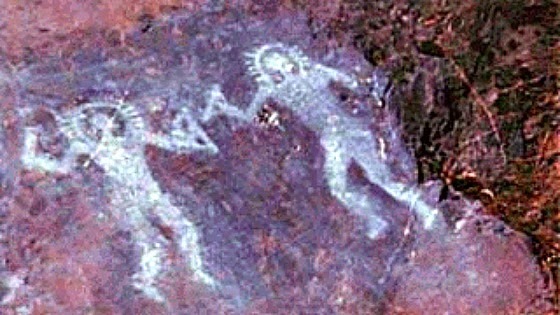 Ancient petroglyphs in Val Camonica, Italy, often mistaken as images of alien astronauts. Proponents of the ancient alien theory are generally harmless, but it has manifested itself in pseudo-religious cults such as Heaven’s Gate, whose origins in the early 1970s and belief in alien visitors eventually led to a mass suicide in 1997. More notably, science fiction author L. Ron Hubbard leveraged the theory as a basis for his own personal tax shelter, the Church of Scientology. Inspired by author Erich von Däniken’s 1970 bestseller, Chariot of the Gods? 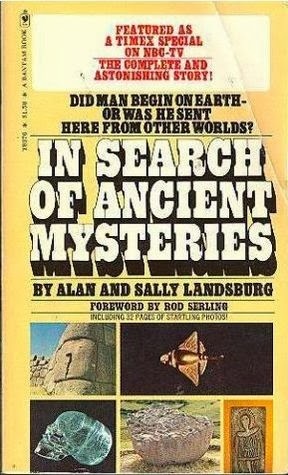 Unsolved Mysteries of the Past, a book which sat on the shelves of many households during that decade, these two films serve as the pilots for Landsburg‘s landmark syndicated television documentary series In Search of . . . , narrated by Leonard Nimoy. Rod Serling, however, serves as the narrator for these first two efforts, and was, in fact, slated to continue narration duties for the series until his early passing in 1975 at age 50. What I like about these films is that they capture a moment in time in the wake of the Apollo moon landings when the human race was trying to reorient its place in the universe. If we can land on other worlds, could it not be possible that an alien race landed on our world? It’s not an illogical question; however, it is a logical fallacy to then project an unsupported conclusion (aliens visited the planet Earth) to reinterpret ancient technology and mysteries as having a deus ex machina causality. 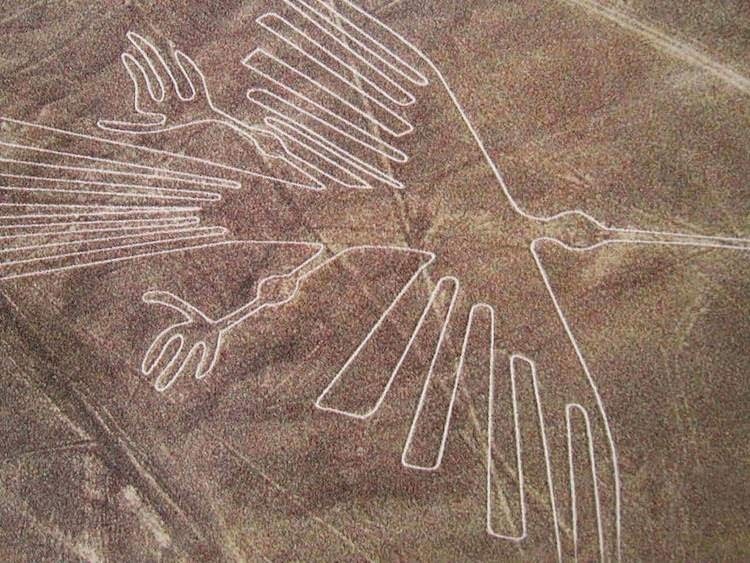 One of many images formed by the Nazca Lines in Peru, only visible from a great altitude, often cited as examples of alien influence. Mysteries, such as the Nazca Lines in Peru or the construction of the Egyptian pyramids, are mentioned, but only in light of the ancient astronaut theory. One such "mystery" discussed in In Search of Ancient Mysteries, is the Antikythera Mechanism, a subject reviewed in my article, The Antikythera Mechanism: A Relic of Ancient Greek Science, which studies the high-level of engineering, science, and math that went into the construction of the device - which stands as a testament to the ingenuity of the human mind, and not as a relic of ancient alien technology. The great mystery of the Antikythera Mechanism, which is dated to the first century BCE, is that it utilized a differential gear; technology thought not to have existed before 13th Century Europe. The device showed the position of the known planets in the sky any time of the year. 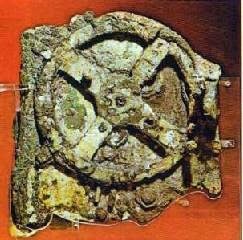 Once the operator set the position of the Sun or Moon on the front plate, the Antikythera Mechanism automatically adjusted all the dials providing solar, lunar and planetary data for the corresponding time indicated by the user. This research, however, was published in 1959 by Derek de Solla Price of Yale University in Scientific American and therefore was available to the producers of the In Search of films. 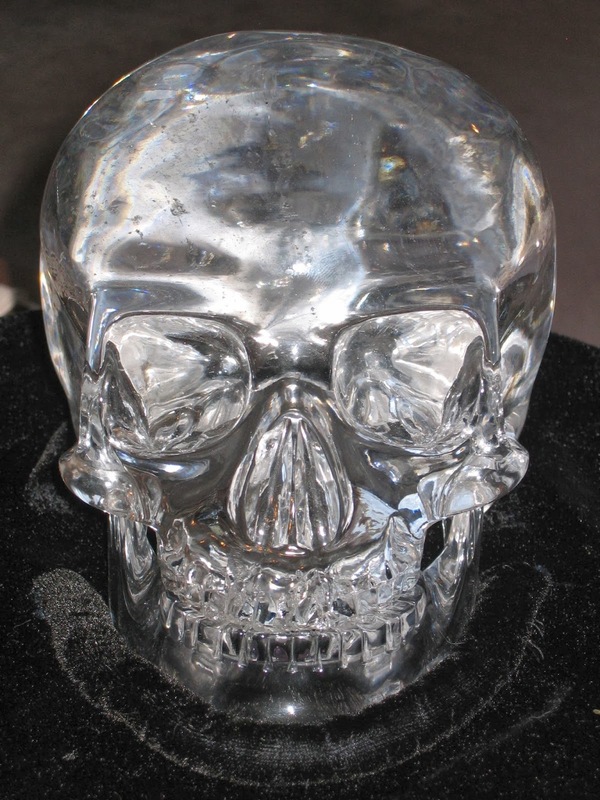 Other examples mentioned in the films, such as the Mitchell-Hedges crystal skull (the infamous “skull of doom”), perpetuate a fraud foisted on the public. The skull, which was included in the plot of the 2008 film, Indiana Jones and the Kingdom of the Crystal Skull, was claimed to have been found by Anna Mitchell-Hedges, adopted daughter of explorer Frederick Mitchell-Hedges, in 1924 in a ruined Mayan temple in Lubaantun, Belize. Anna made a career out of promoting the skull as an ancient religious artifact possessing great psychic powers; however, as reported in the National Geographic special, “The Truth Behind Crystal Skulls,” the skull was in fact purchased by her father Frederick at a Sotheby's auction in London on October 15, 1943. Further analysis by scanning electron microscope (SEM) revealed the use of high-speed rotary tools, and dated the manufacture to the late 19th or early 20th Century, according to Archaeology Magazine in, "The Skull of Doom: Under the Microscope," published May 27, 2010. None of this, however, was known at the time the documentaries were produced. The Outer Space Connection (1975): The last of three documentaries produced by Alan Landsburg and narrated by Rod Serling that include In Search of Ancient Astronauts and In Search of Ancient Mysteries. The films, In Search of Ancient Astronauts and In Search of Ancient Mysteries, bring attention to dozens of these relics of ancient technology, but often only a minute or two is spent on some of the examples provided, leaving the viewer with incomplete explanations implying alien origins. Some subjects discussed in the films don’t always go to the alien influence and rather just highlights a great mystery, which in some cases endure to this day. In conducting one's own research, however, one is likely to find that most "mysteries," such as the Mitchell-Hedges crystal skull, have an earth-bound explanation. The question arises, might there have been a visit to the Earth in historical times? There are several popular books on the subject, it’s an idea people find exciting. It’s a kind of . . . mmm . . . scientific justification of theological belief which people would rather believe in any case. It’s kind of modern dress for old-time religion, but what about that? Is that possible or not? I can only say that you can’t exclude the possibility, but there is not a smidgen of evidence that is compelling. Sagan’s words have indeed proved prophetic since forty years later there has yet to be found any compelling evidence that intelligent alien life has ever visited the planet Earth. Granted, sometimes we are hard-pressed to find evidence of intelligent human life as well. Despite all that, these films continue to leave me with a sense of wonder and an appreciation for the sophistication of past cultures. There are still mysteries of the ancient world, and if relics like the Antikythera Mechanism are just one example one must wonder what other products of human ingenuity were invented and where the level of our technology would be today had they not been forever lost to time.